Yamatji Marlpa Aboriginal Corporation offices in Perth, Geraldton, Karratha, South Hedland and Tom Price will be closed during the festive season from Friday, 24 December 2010, re-opening on Tuesday, 4 January 2011. YMAC’s Board of Directors, Pilbara and Yamatji Regional Committees, management and staff would like to wish all members a happy and safe festive season. Roy is a Malgana man who has lived and worked in the Gascoyne region all his life. 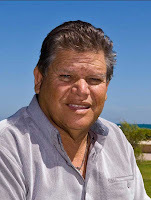 Roy has deep connections to the world heritage listed Shark Bay area, where his grandmother and father were both born. He enjoys the outdoors and regularly camps, hunts and fishes on his country. He has been a member of the Yamatji Region Executive Committee since November 2004 and YMAC’s Chairperson since February 2008. Roy is well known in the community for his leadership capacity and ability to unite people. In Tom Price this week, the Nyiyaparli people signed a Land Access Deed with Iron Ore Holdings Ltd (IOH) that delivers important protection for country and support to the Iron Valley project. Nyiyaparli country is situated in the central Pilbara region of Western Australia and covers approximately 36,684 square kilometres of land, including the mining town of Newman. The agreement, which covers the Iron Valley project, provides a range of benefits to the Nyiyaparli people including contracting opportunities, cross cultural awareness training for IOH employees and a rigorous framework for agreement implementation. 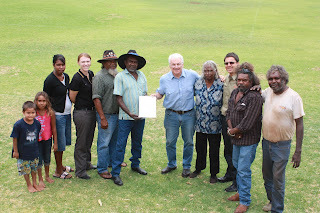 More importantly the agreement provides for consultation on environmental and heritage matters, which allows the Nyiyaparli people to retain their rights under Aboriginal heritage and environment legislation in order to protect areas of cultural and environmental significance. The Nyiyaparli people, represented by Yamatji Marlpa Aboriginal Corporation (YMAC), are now looking to build upon the spirit of cooperation and good faith they developed with IOH during the agreement negotiation process.